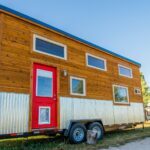 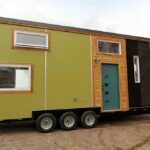 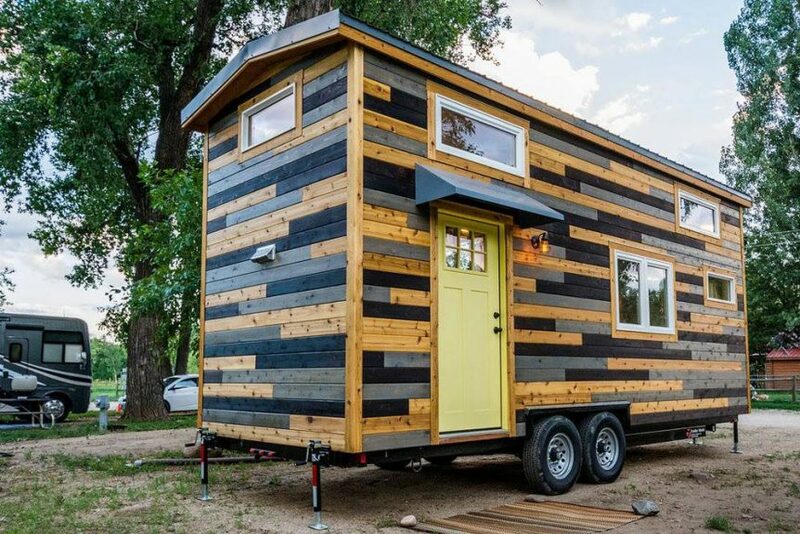 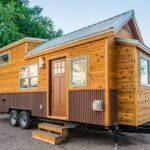 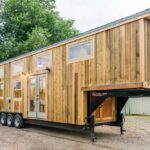 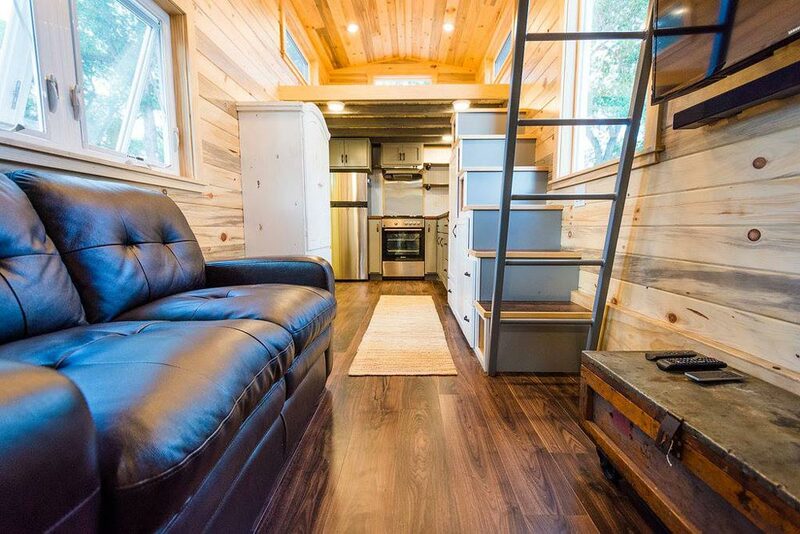 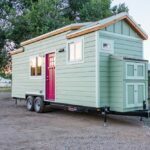 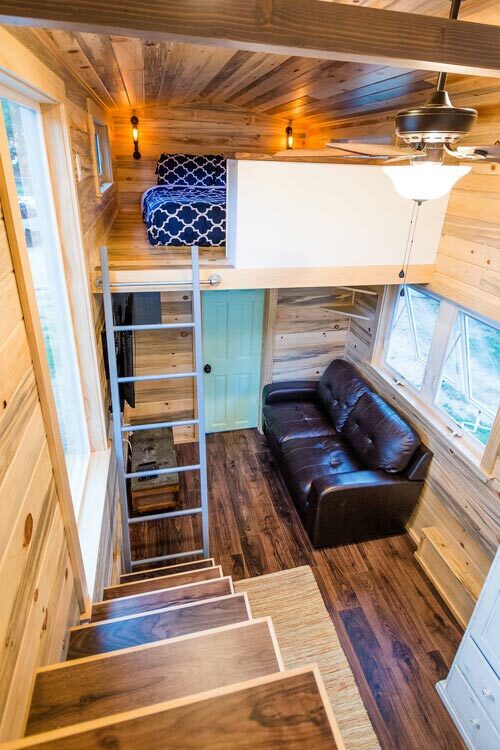 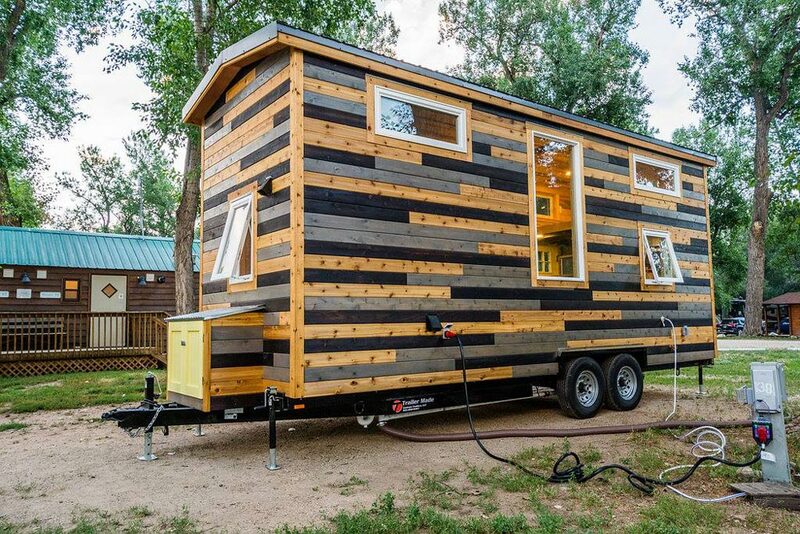 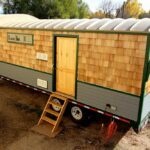 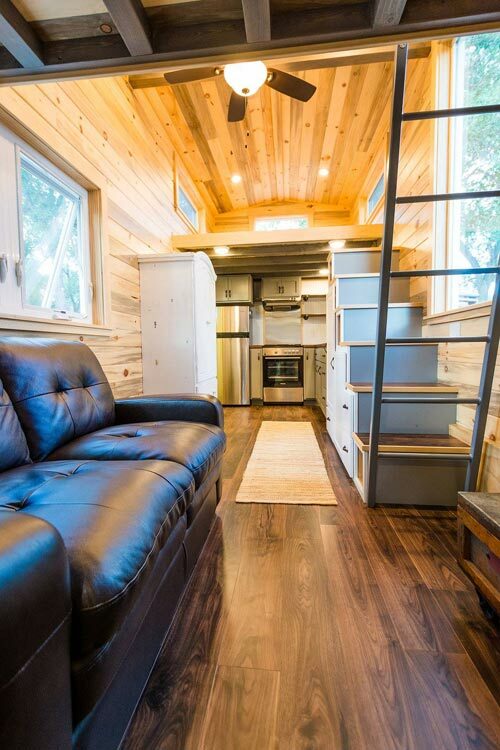 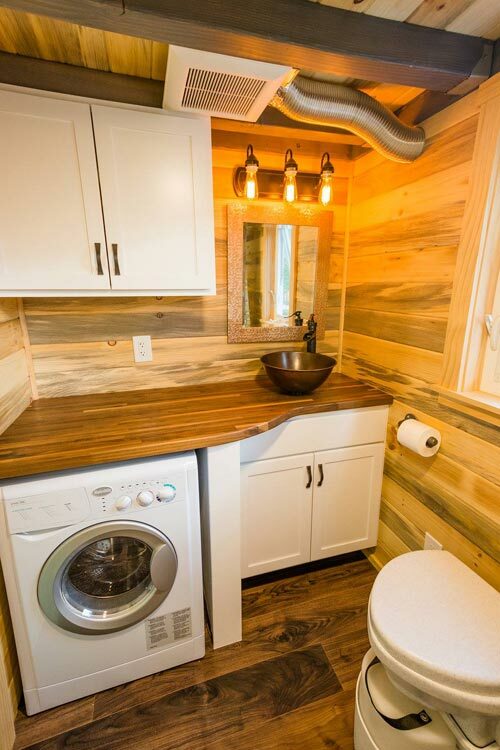 From Fort Collins, Colorado-based MitchCraft Tiny Homes is this custom 24′ tiny house on wheels. 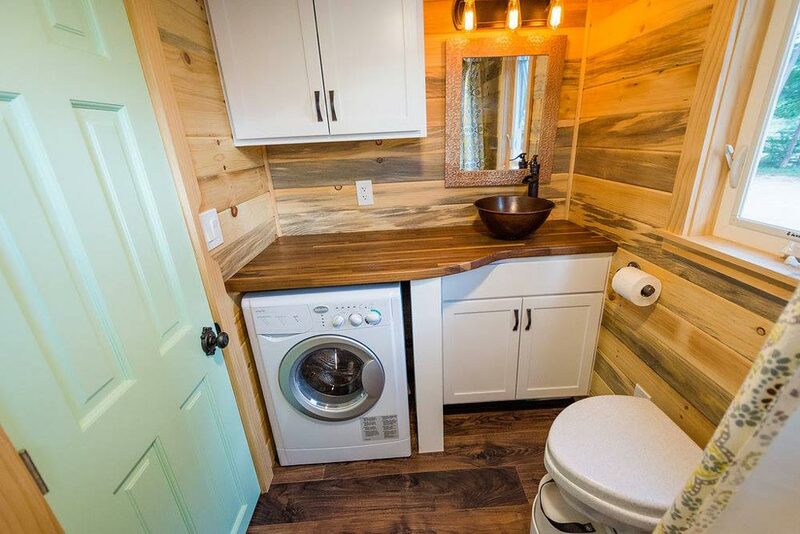 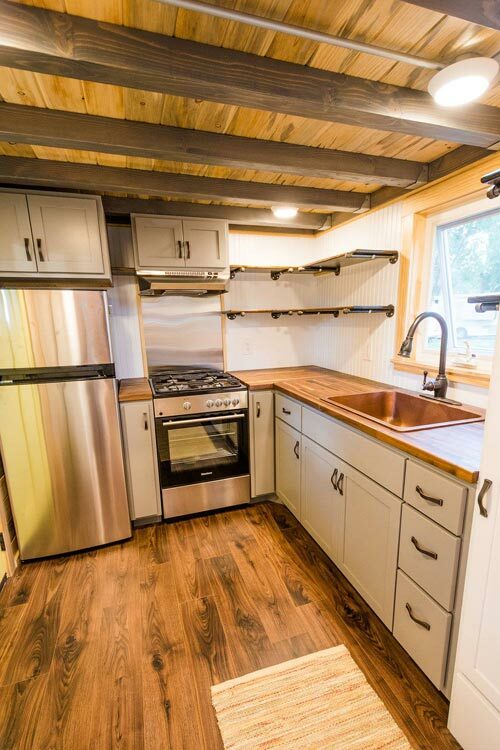 Built for their clients, Curtis & April, the colorful tiny house features a large kitchen and two sleeping lofts. 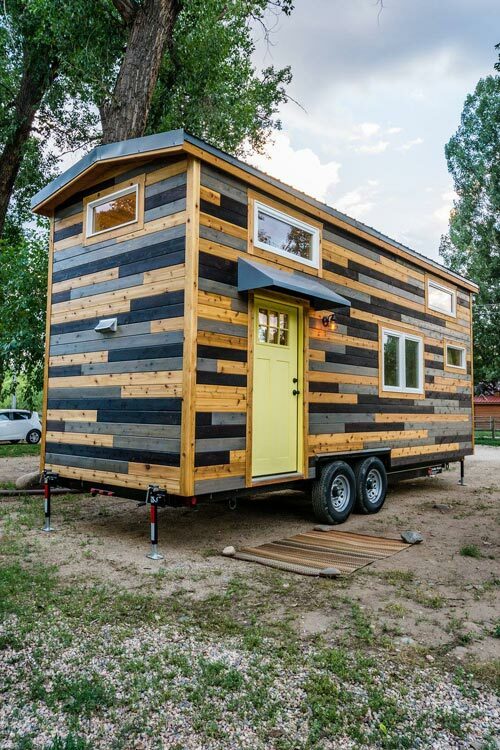 The unique exterior mixes three types of tongue-and-groove cedar: natural oiled cedar, stained cedar, and burnt (shou sugi ban) cedar. 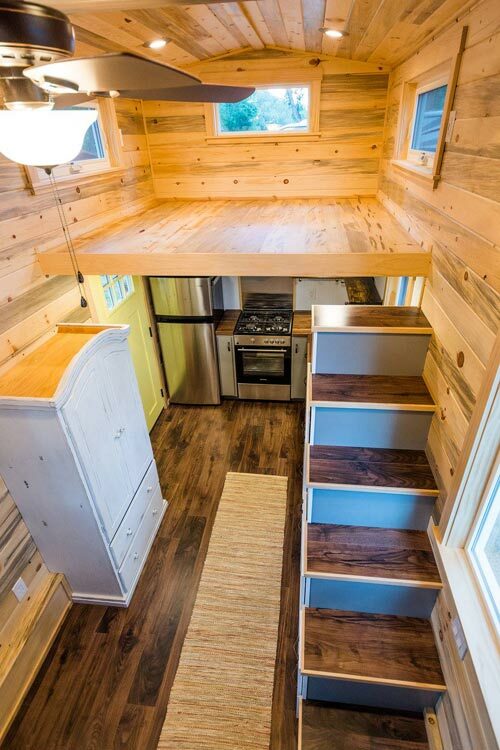 The living space is located in the center of the house, separating the kitchen and bathroom. 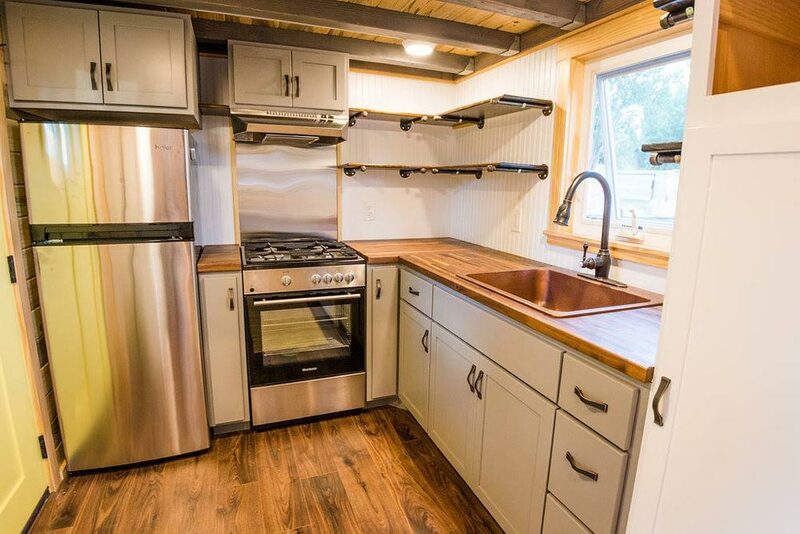 The kitchen includes a 4-burner gas range, 3/4 size refrigerator, and hammered copper sink. 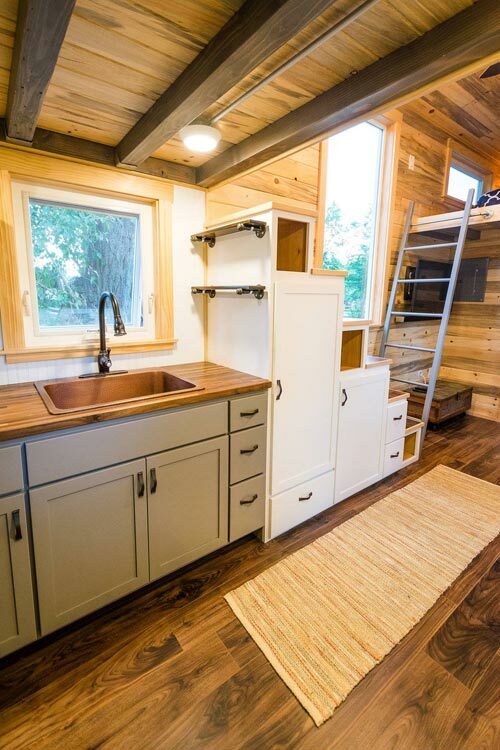 The large counter space, open shelving, upper cabinets, and built-in pantry storage stairs provide plenty of storage space. 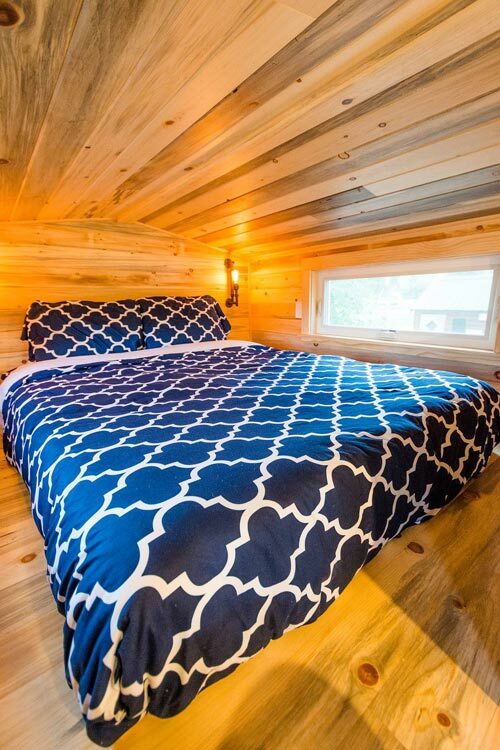 The master bedroom loft is located over the kitchen and a guest loft/storage space is located over the bathroom. 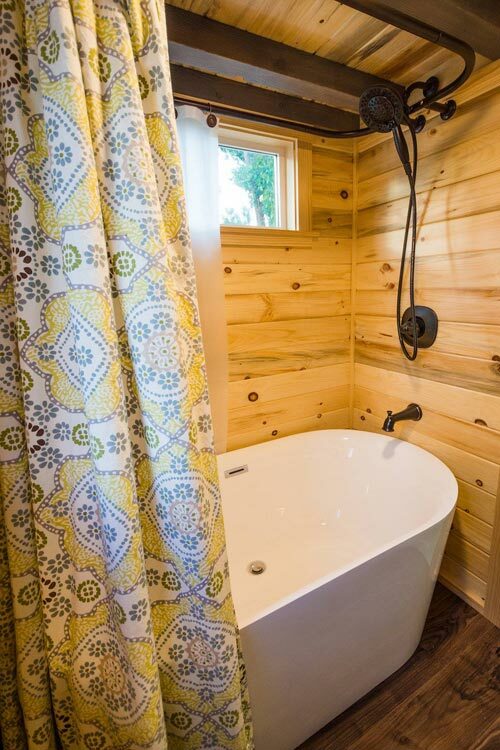 The bathroom is large enough for a full size soaking tub and full length vanity counter with combination washer/dryer underneath. 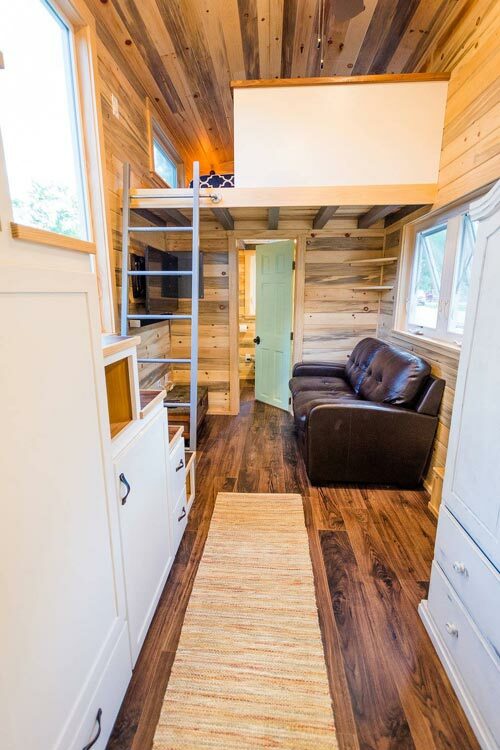 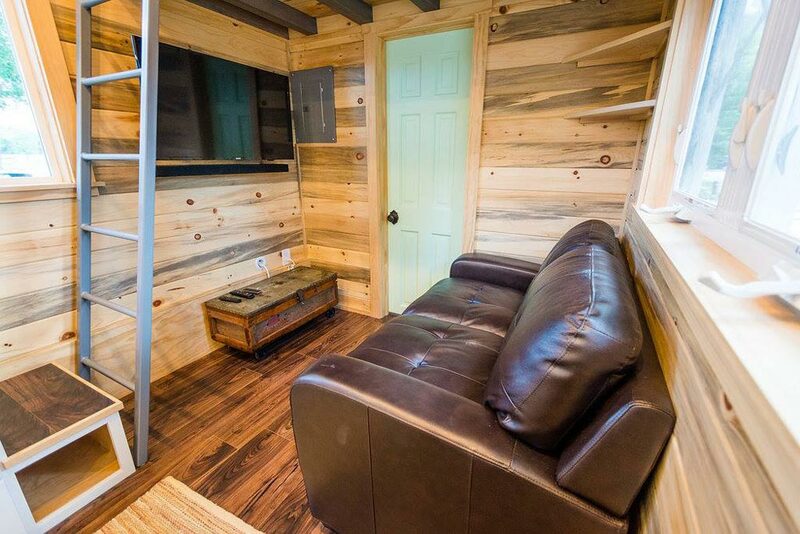 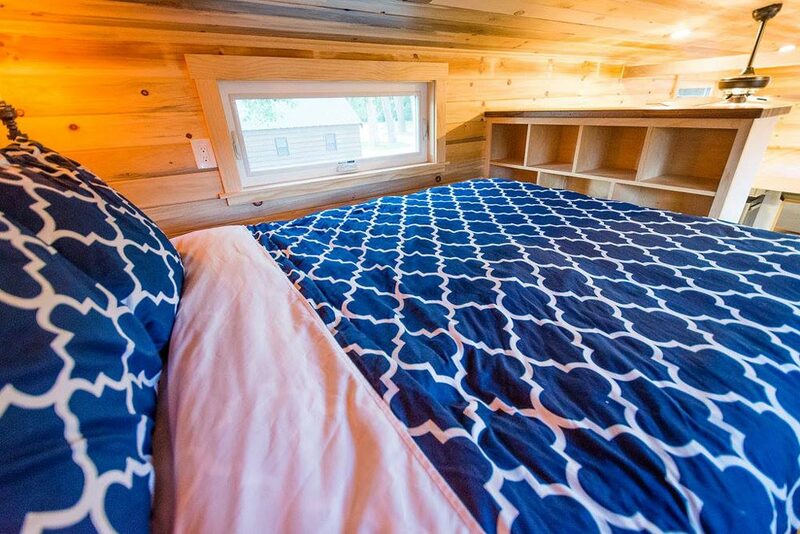 For more information about Curtis & April’s Tiny House, you can contact MitchCraft Tiny Homes.